hd00:11Salad in a bowl in the refrigerator. hd00:07model making or precision engineering requires using a lathe. here the workpiece is rotated in the chuck. Seamless loop. 4k00:10A conveyor belt full of filled and capped bottles. 4k00:11Capped bottles filled with water moving on a conveyor. 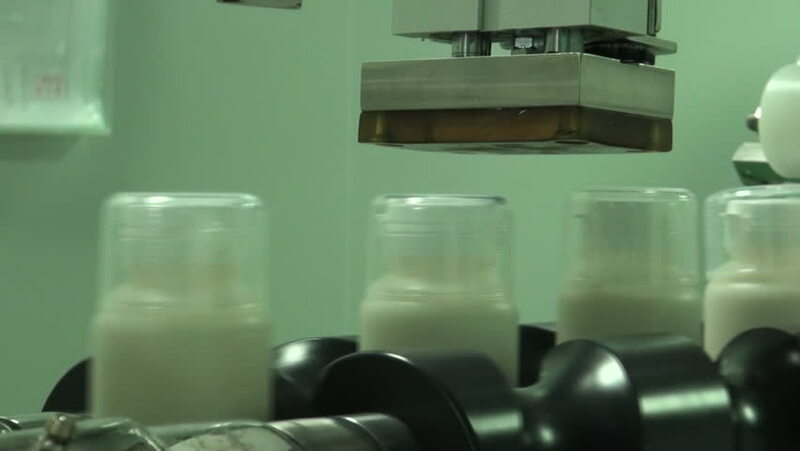 hd00:06Modern plant for bottling of yogurt in plastic bottles. 4k00:15Filled and capped water bottles with small droplets move on a conveyor line. 4K. hd00:13Bottles with beer on the line. Brewery.